Laser tag is the paintball of the future. Team building and bonding brings people together by encouraging collaboration and teamwork. Fun activities that help people see each other in a different light allow them to connect in a different setting. 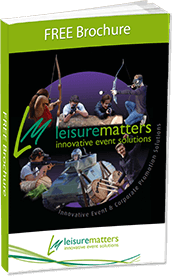 Laser Tag, Mini Tanks, Archery/Axe Throwing/Rifle Shooting, Laser Games, Team Building Games & More! Come and visit our family run woodland activity centre for an unforgettable experience. With a range of activities and packages to choose from, whether you are doing it alone or with friends, family or colleagues… you are sure to have a great time! Large group or corporate event? Ask about our bespoke programmes! I just wanted to say a brief but massive thank you for the Woodland Warfare Lasertag party we had on Sunday. The set-up was brilliant, the kids had a brilliant time and it was just all so easy for us as parents. We will recommend you (and might even organise something for the grown-ups!)." I just wanted to email to say a huge thank you for all the work you and your team have put in running over the weekend. We have already had some fantastic feedback about the activities. At the end of the camp when I was walking back across the field, I heard a bit of a child's conversation who had just been picked up by his parent, he was speaking so fast and with so much excitement in his voice I don't think he really stopped to breathe, this made my weekend and I wanted to thank all of you for making that possible as I'm sure for every activity there was lots of over excited children hardly breathing between telling their parents what they had been doing. Once again a massive thank you to all of you for your hard work." The buzz about the office this morning from our afternoon with you yesterday has been fantastic – I have heard ‘Best team day Ever! !’ on a number of occasions. I cannot thank you and your team enough for making the day so special for us, I will not hesitate to recommend you to others. Thank you again, not only for the afternoon, but for all your support in managing other aspects of the day." My 13 year old son and four of his friends took part in a laser tag session on 11th March. From start to finish the session was well organised. The arrival process, changing into overalls and the handing out of equipment ran smoothly and the boys were well prepared for the session with an excellent safety briefing. The games were well structured and the teams divided up evenly so that everyone had a great afternoon, the boys loved it and are keen to make a return visit. You have a brilliant site with a great viewing area so we were able to take plenty of photos and to help ourselves to the free tea and coffee! We’ll be back!" We have just returned from a 10th birthday Party with you guys and I wanted to say what a great time the boys had. But not only that, your colleagues were lovely and took care to ensure the boys had a great time. I thought your set up was superb and will be recommending you to friends in the future."